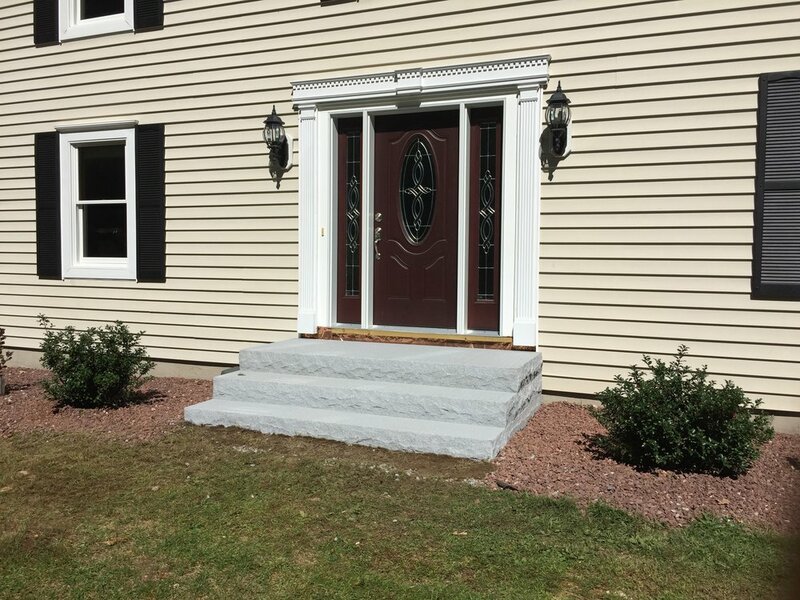 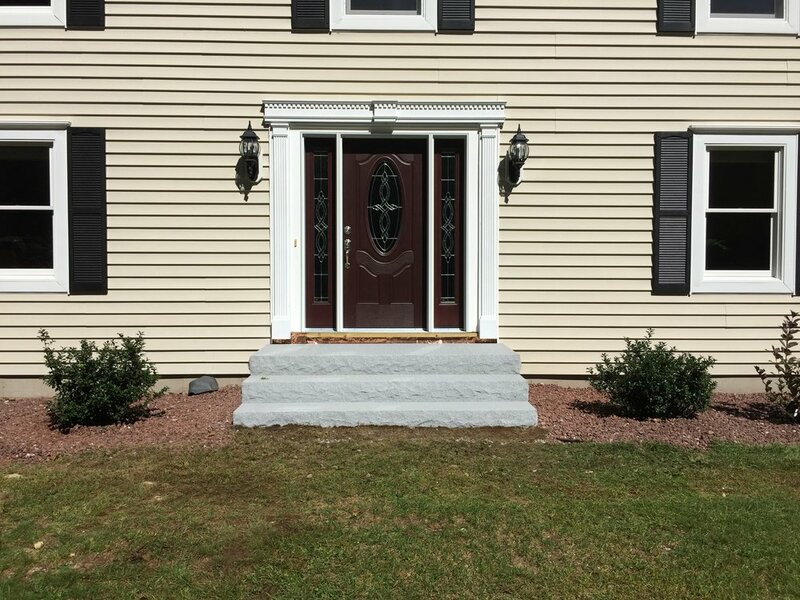 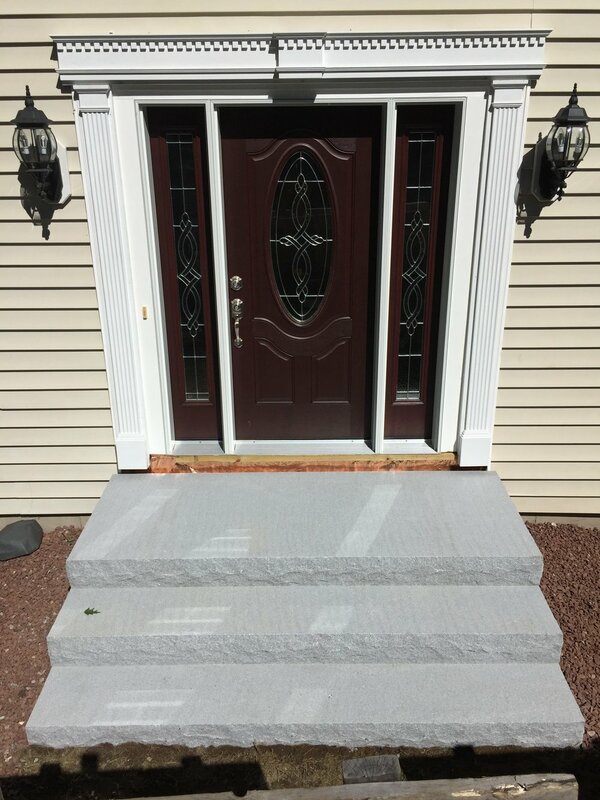 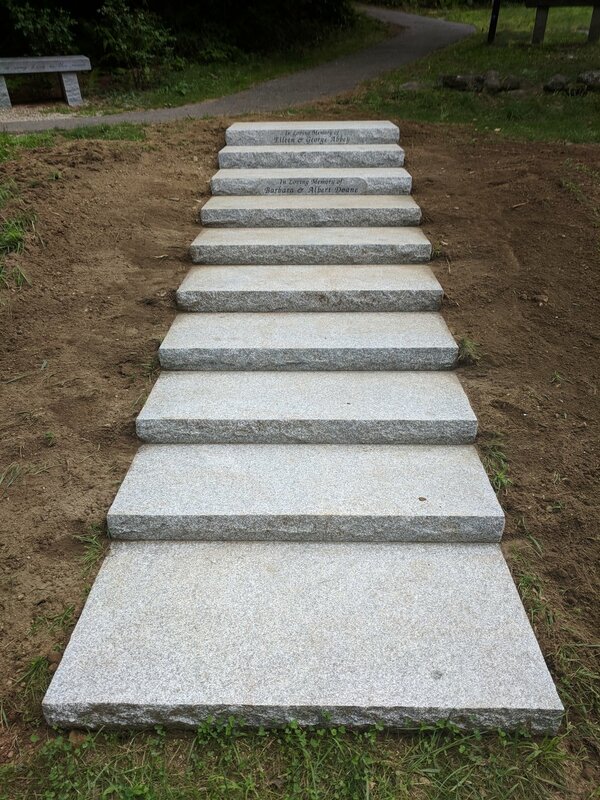 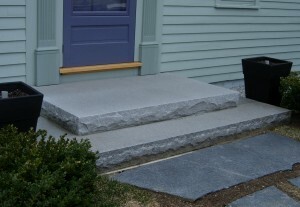 There are a few ways to stack up granite steps. 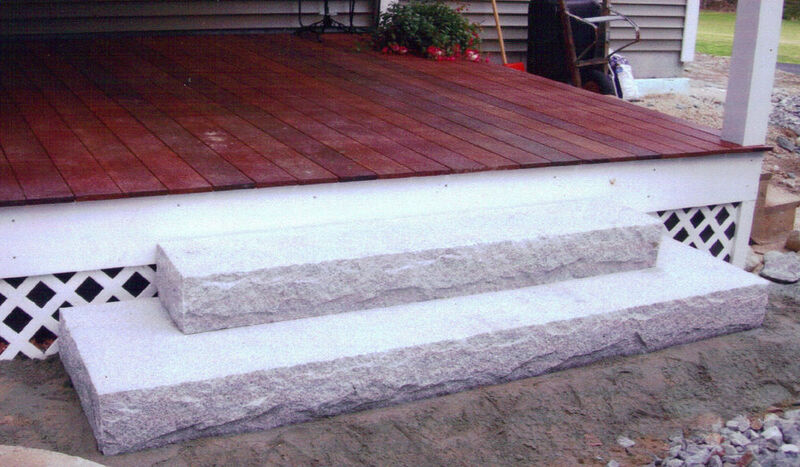 One way is to start with the largest platform slab on the bottom, and simply stack the steps on top of each other until you reach the desired height. 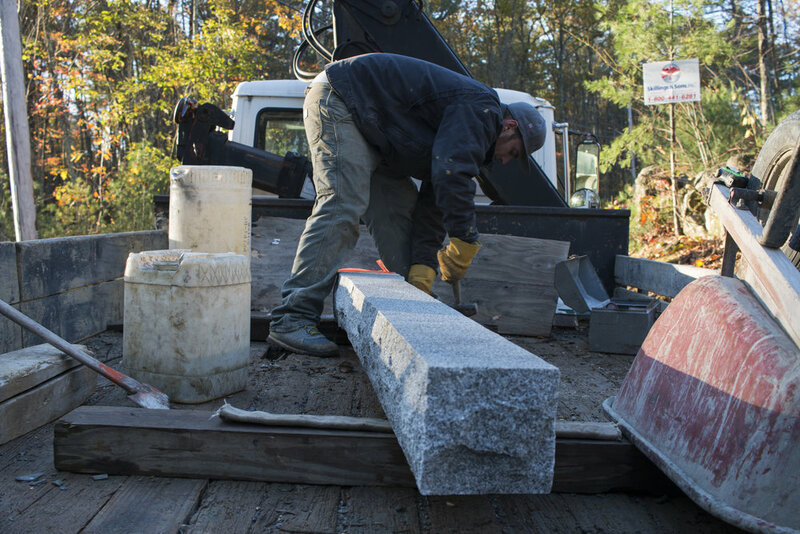 Another way is to keep all the same size steps and use smaller pieces of granite, called cribbing, to act as the risers for the next step. 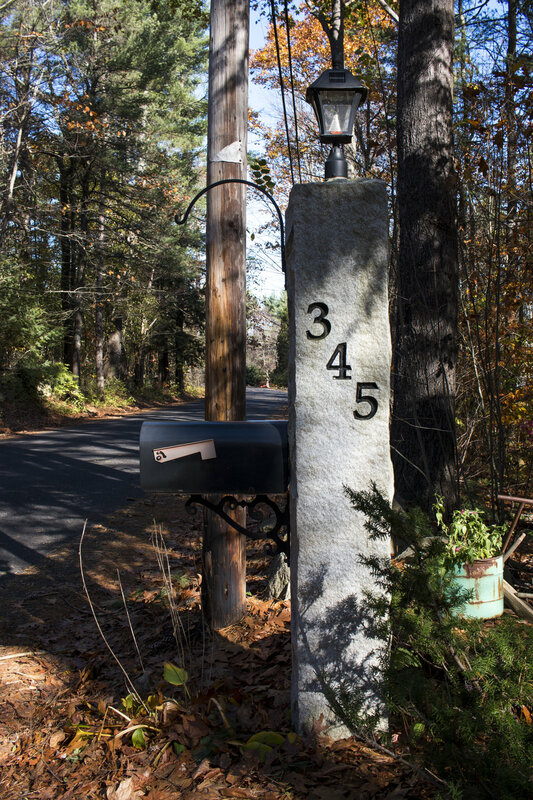 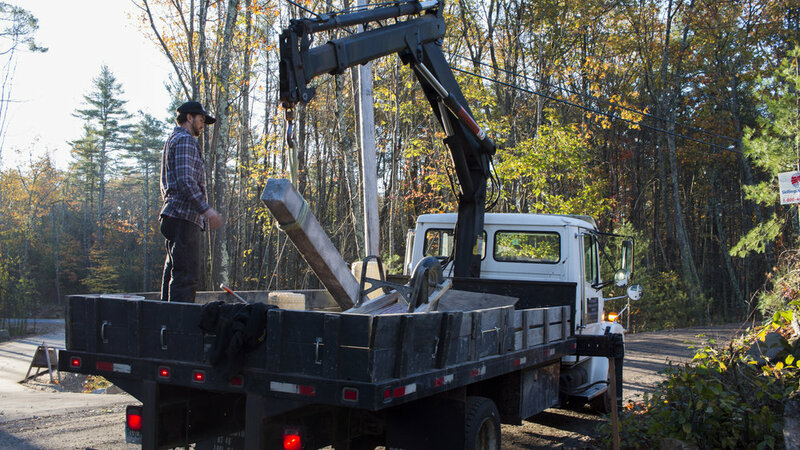 Whether it be a mailbox, lamp post, or business sign; granite posts are a great way to put a prominent, lasting mark on your property. 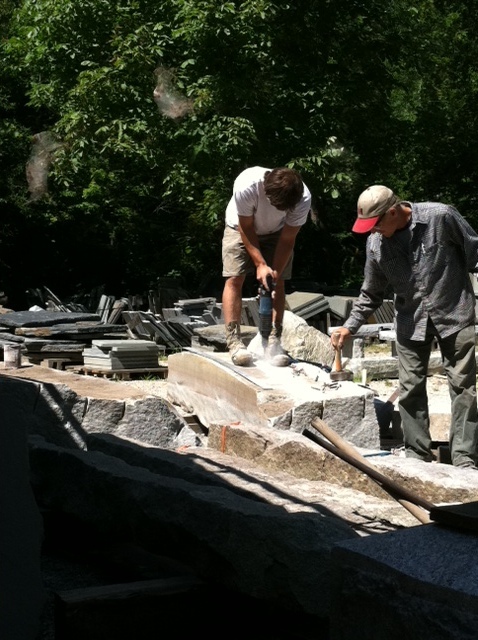 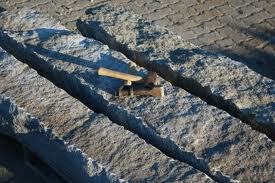 Using feathers and wedges to make two antique granite posts out of an old curb stock, the old fashioned way! 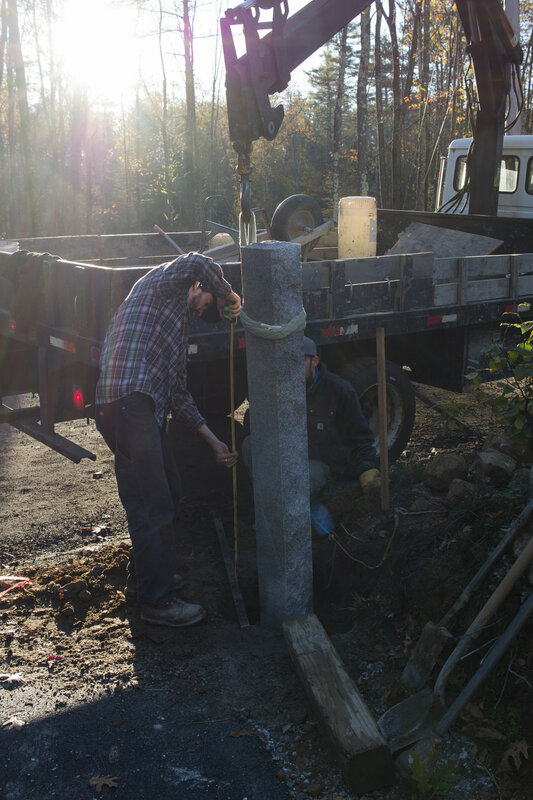 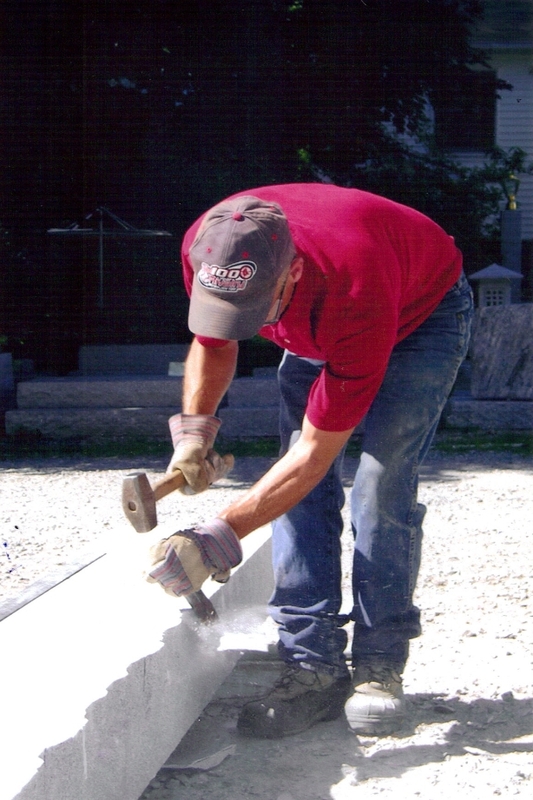 For the most part, no cement is used in setting a post. 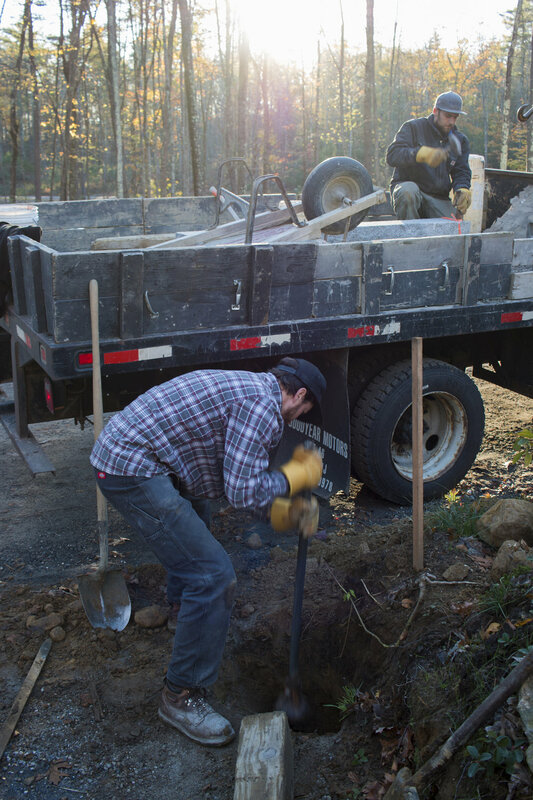 A hole is dug 1/3 to 1/2 the length of the overall post. 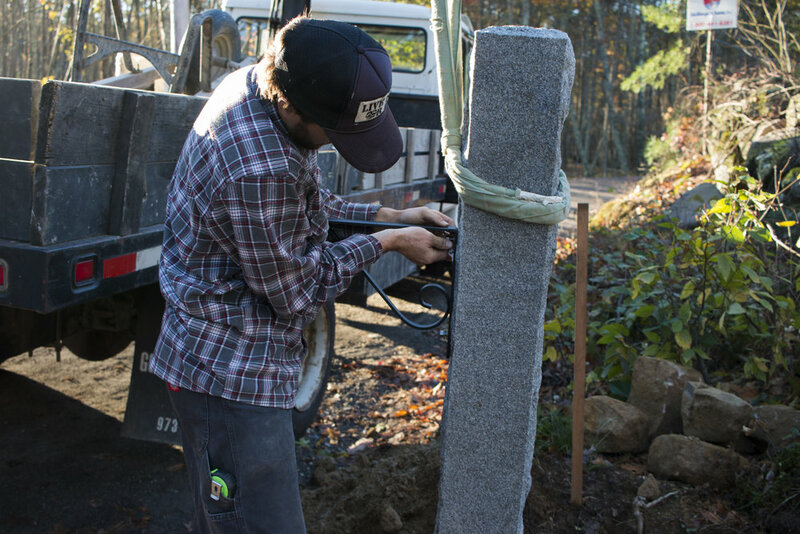 The post is lowered into the hole, squared up, back filled, and packed tight into place. 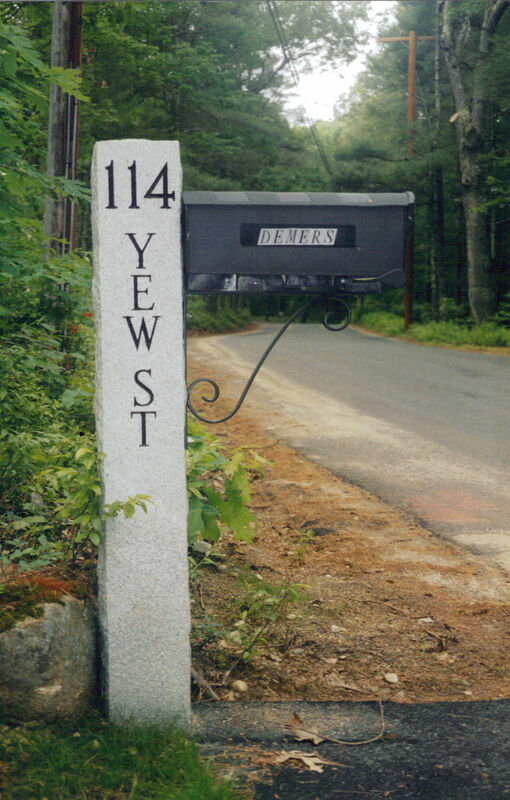 After the post is set, the hardware and mailbox is attached! 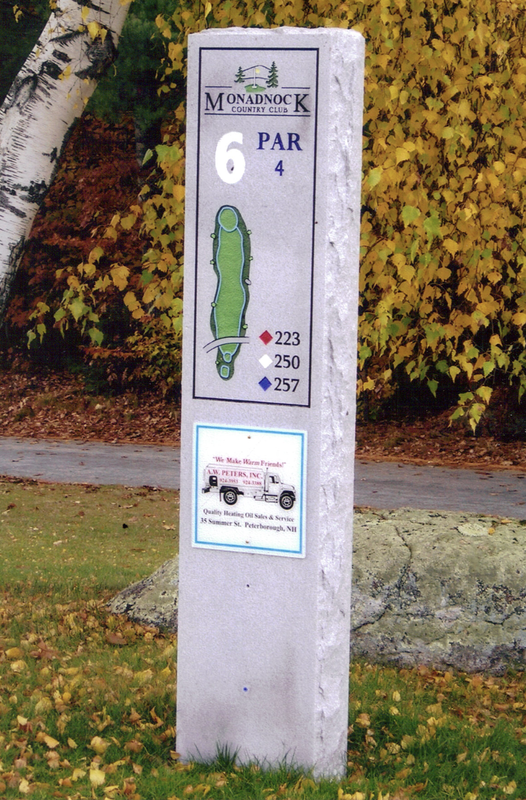 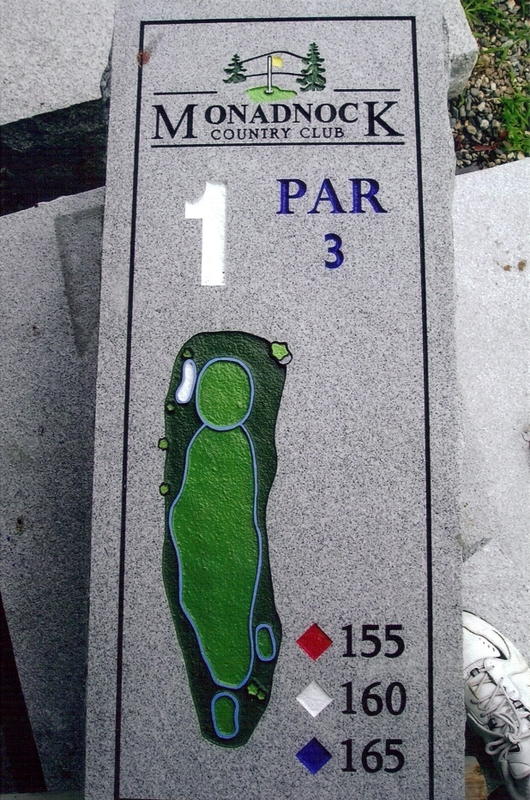 Hilltop Golf Course (formerly Monadnock Country Club) in Peterborough, NH. 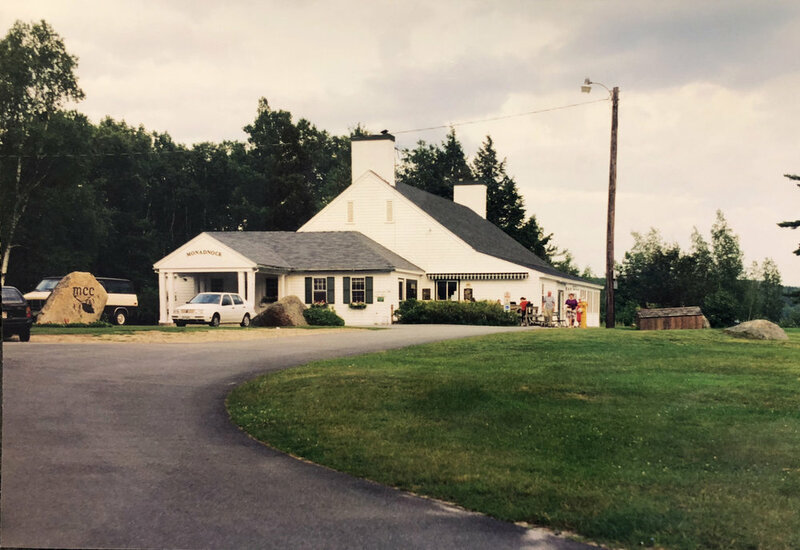 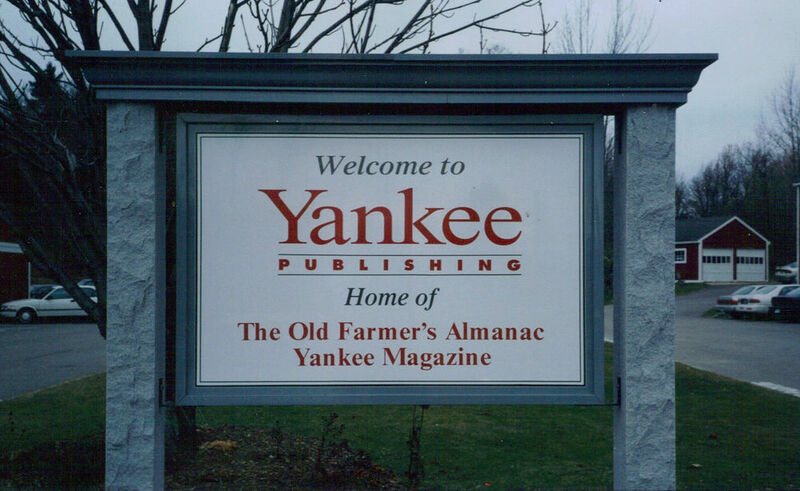 The Ingalls Memorial Library in Rindge has officially been added to the register of historic places in our great state of New Hampshire! 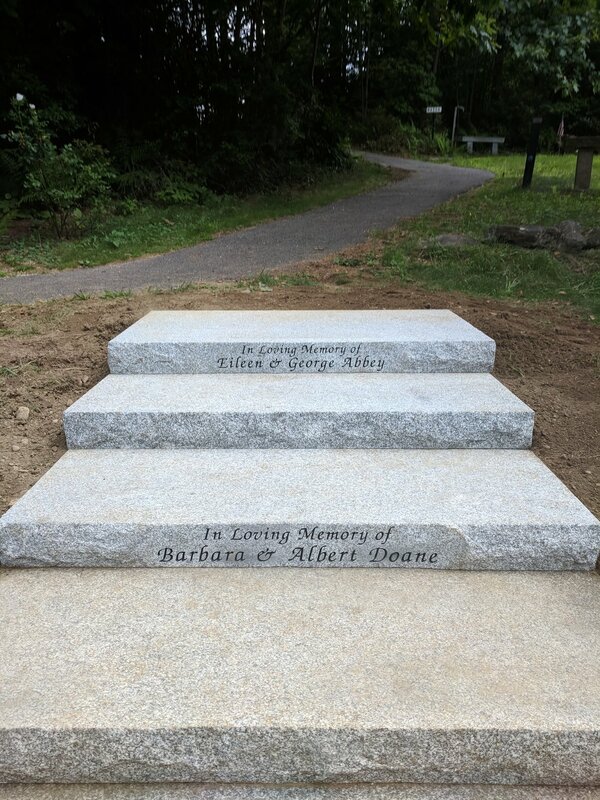 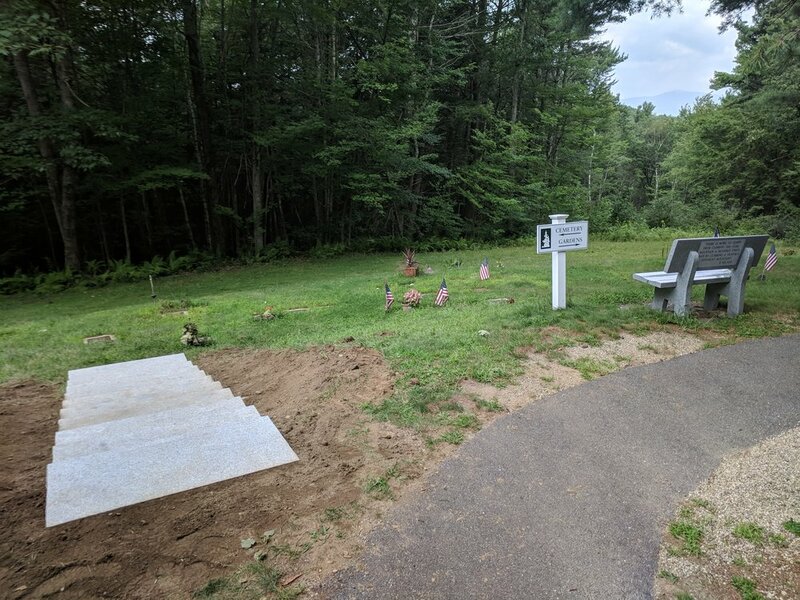 Originally built in 1894, PMGW was honored to assist the library in commemorating the event with a beautiful granite post with a custom plaque inlay. 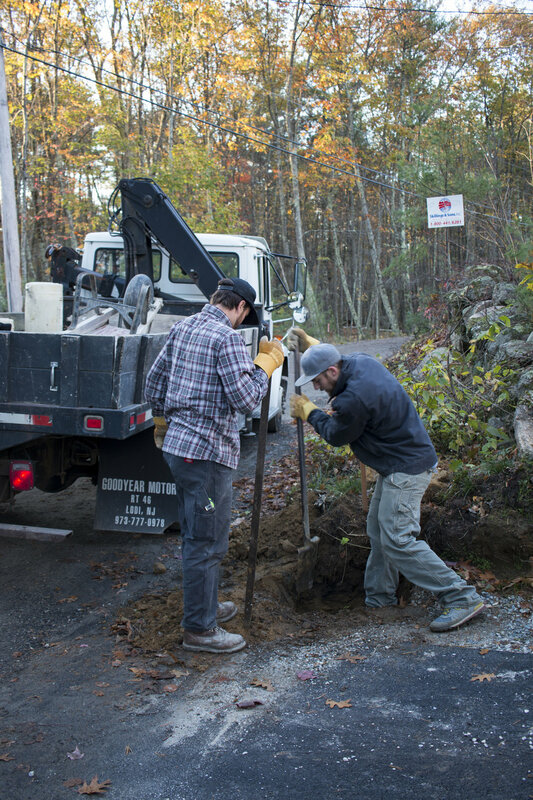 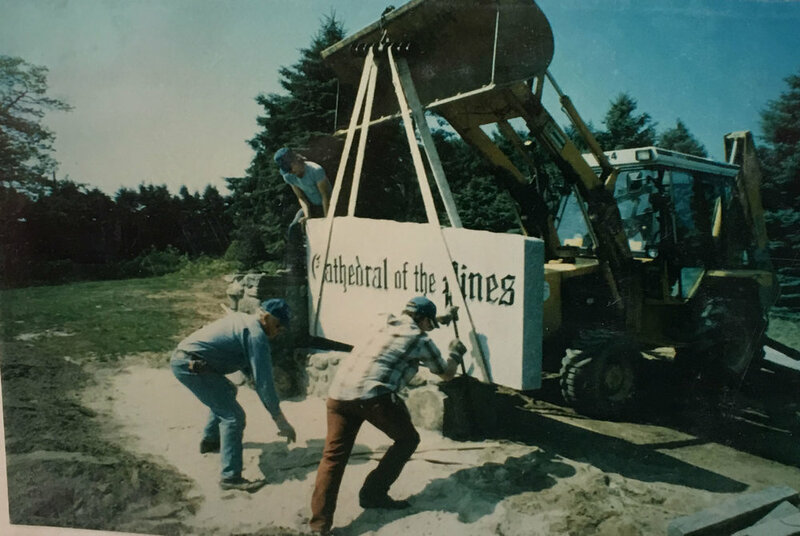 We always enjoy helping our local communities and being a lasting part of our state's history. 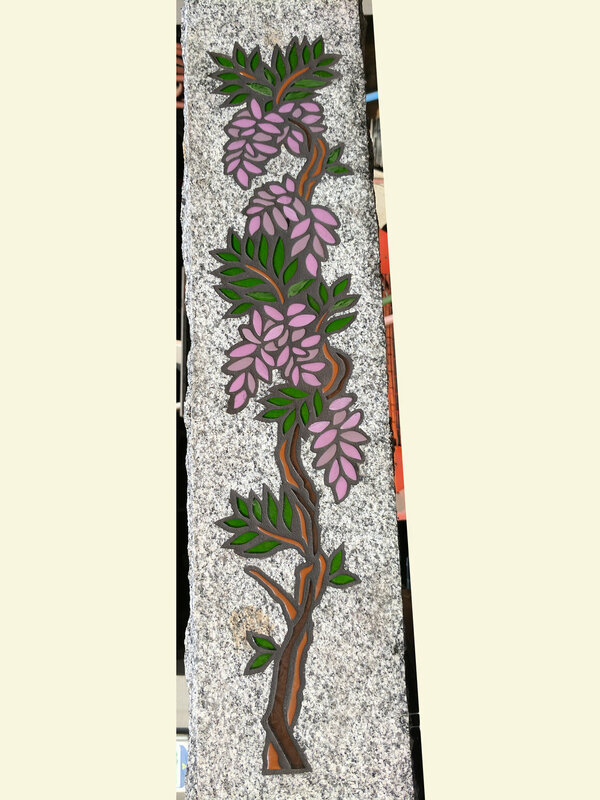 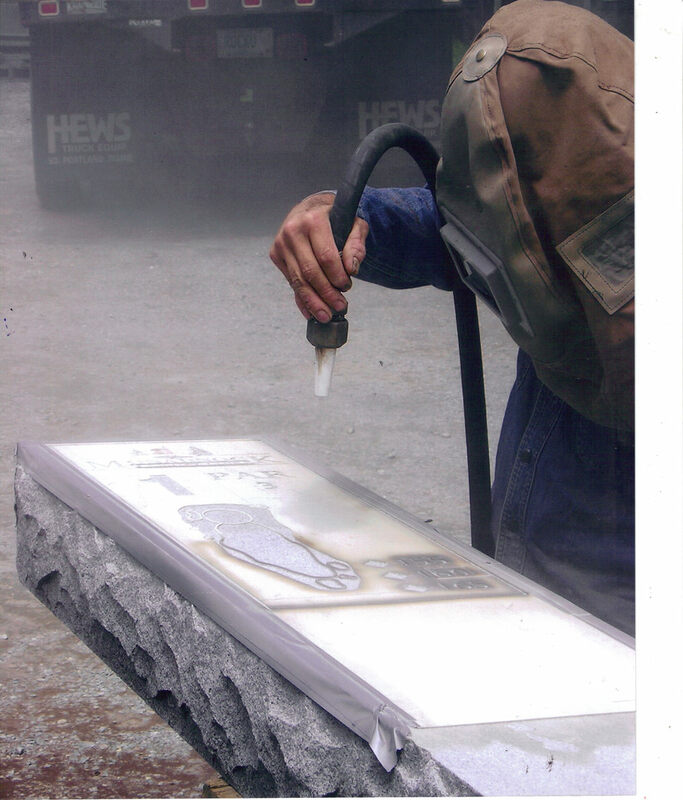 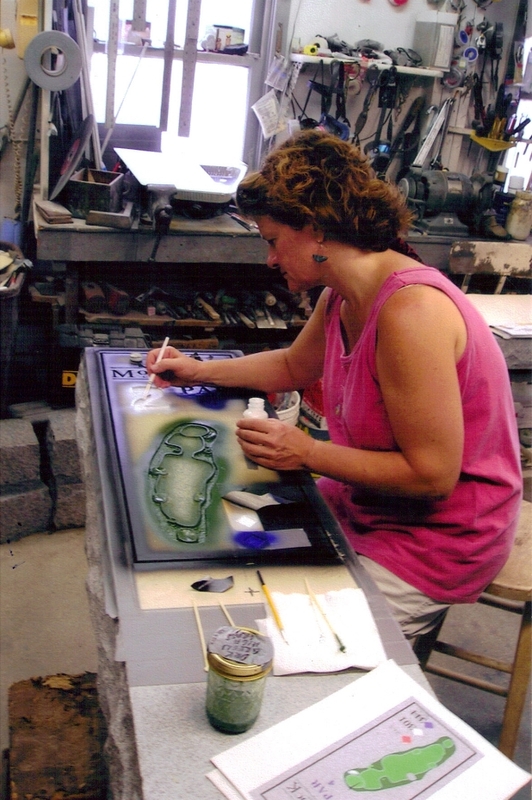 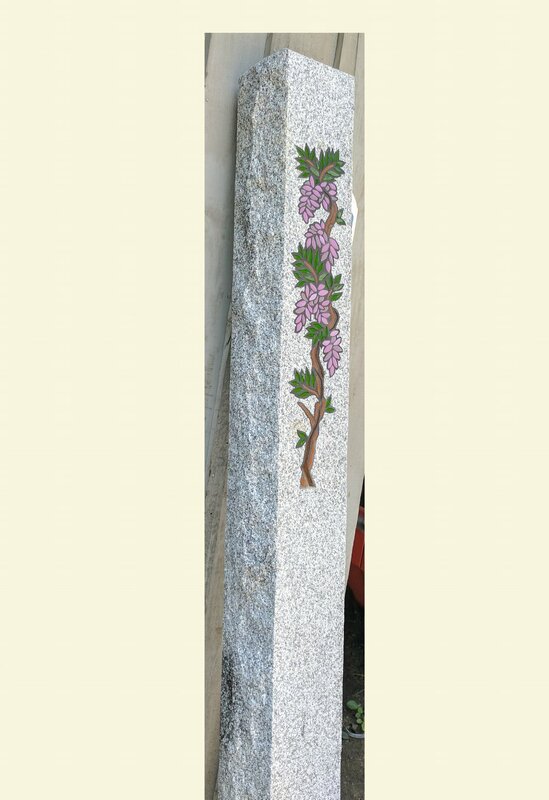 Beautiful use of custom glass art to create this wisteria design on a granite post.